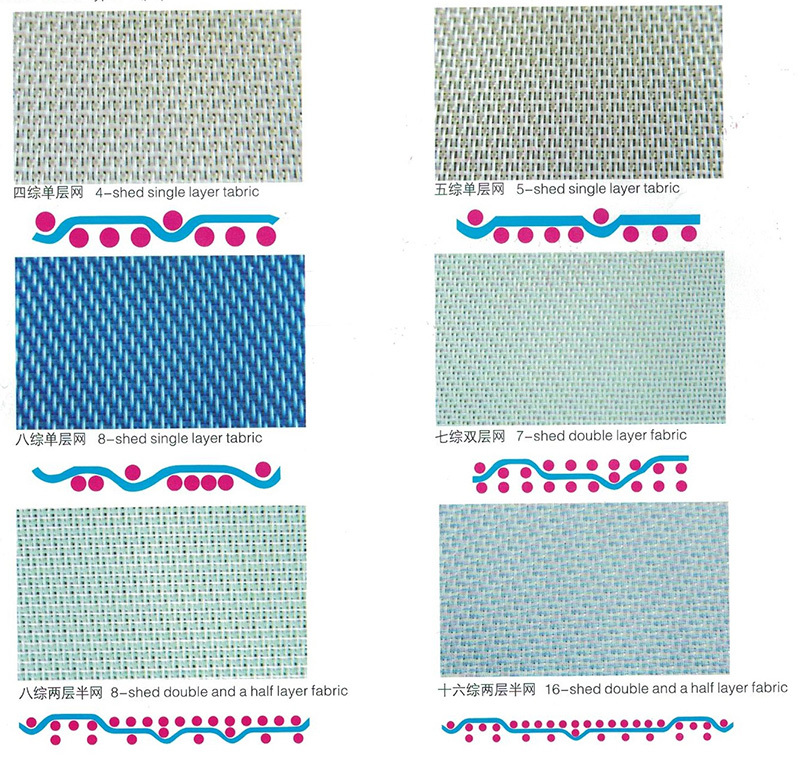 Forming Fabrics - Buy Forming Fabrics Product on Hebei Reking Wire Mesh Co.,ltd. Polyester molding network according to the weaving series division, can be divided into four mechanized single-layer network,five kinds of single-layer network, eight kinds of single-layer network, seven kinds of double network, eight kinds of double network,eight. Two layers of net, sixteen in two and a half and three layer network series. *four single layer fabric is suitable for making culture paper, printing paper, packaging paper, *five single layer fabric is suitable for making toilet paper, cultural papaer, packaging paper. *eight single layer fabric is suitable for gram weight larger bag paper, kraft paper, cardboard, corrugated paper, liner board paper. *seven double layer is suitable for quality printing paper, tissuepaper. *eight double layer fabric is suitable for quality printing paper, plastic sheet printing paper, tissue paper and paperboard face, pulp, pulp and other. *eight harness, sixteen fully two layer and three layer fabric is suitable for semi high speed paper machine, the production of various types of paper. Polyester forming fabric refers generally to the polyester fabrics woven with polyester fiber in spiral and heddle for various industrial uses in producing of paper, corrugated paper, paper for train fare, filtration and separation in environmental protection, pharmaceutical, mine, metallurgy, machinery, airspace and other fields. Our committed staff constantly seeks innovative and more effective ways to do things better and has gained experiences and skills in our specific fields. While always pursuing the latest technologies and proven methods, our work is professional and consistent with our certification to ISO 9001-2000. According to the weaving, polyester forming fabric can be divided into 4-shed, 5-shed,7-shed, 8-shed,16-shed and 24-shed etc. According to the category, it can be divided into single layer fabric, double layer fabric, two and a half layer fabric and three layer fabric.4-shed single layer fabric is suitable for making culture,printing and packing papers etc.5-shed single layer fabric is suitable for making health, culture and packing papers etc. 8-shed single layer fabric is suitable for making high basic weight corrugated and packing papers etc.16-shed double and a half layer fabric is suitable for making quality printing paper, tissue paper and surface pulp, inner pulp and base pulp of the board paper etc. Multi-shed three-layer fabric is suitable for making quality printing paper, tissue paper and cigarette paper etc.